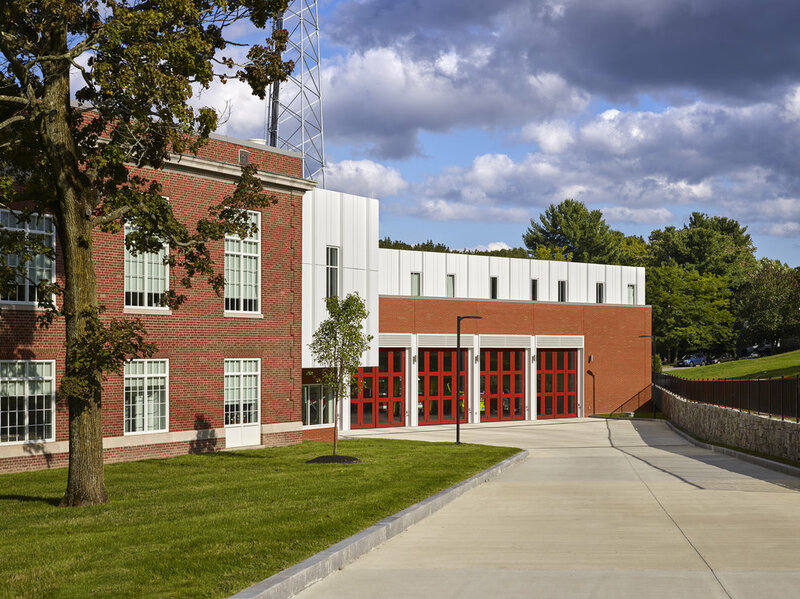 Schwartz/Silver worked with the City of Newton, MA, to renovate its historic 1928 fire station headquarters and add a new facility that includes a new Emergency Operations Center (EOC), a dispatch center, and the City’s Fire Station #3. The project also reduced critical response time in busy Newton Centre. The Schwartz/Silver team worked with Newton leadership and its legal counsel to negotiate with the Massachusetts Water Resources Authority (MWRA) and allow for right-of-way access through MWRA land. This new access allows for trucks to exit from the station directly onto Centre Street, circumventing traffic lights and cutting response time. The station’s new bifold doors, which open in just five seconds, also shave off additional response time compared with traditional overhead doors. 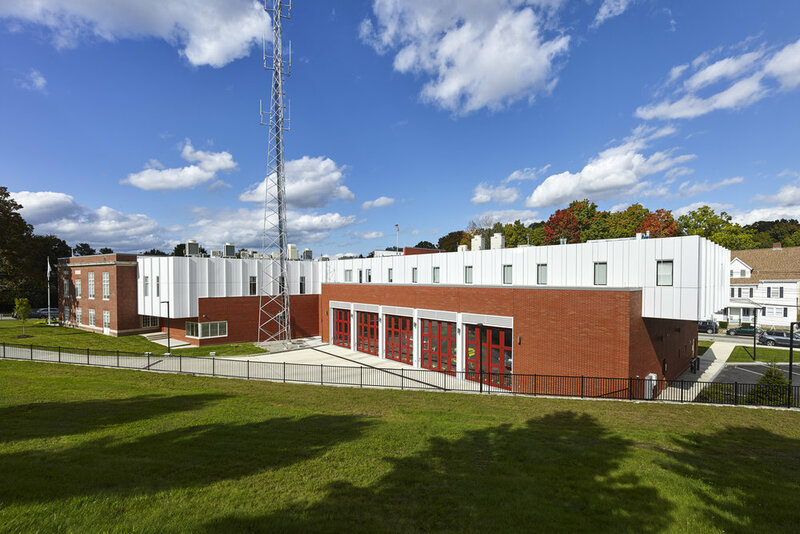 The 30,000-square-foot station includes a five-bay drive-through apparatus bay, firematic support spaces, twenty firefighter bunkrooms, offices for headquarters administration and fire prevention, a forty-seat EOC room, new 120-foot high radio tower, and the City of Newton’s backup dispatch center. The building is situated on a very challenging, triangular site bordered by the MWRA Sudbury Aqueduct, a residential neighborhood, and Centre Street. Traffic: Vanasse Hangen Brustlin, Inc.